New for 2015! 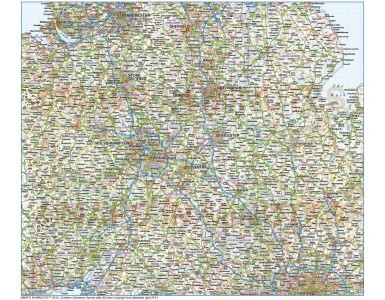 Large scale, up-to-date, highly detailed, accurate, fully editable and layered vector county, road & rail map. For use up to any size. All text is editable font text. Matches Ordnance Survey data and co-ordinates. Contains county boundaries and fills. Large up-to-date, highly detailed, 100% editable layered vector map. Suitable for use up to any size. All text is editable font text. Matches Ordnance Survey data and co-ordinates. Contains 1st level administrative boundaries and fills so can be used as either a political map, a road map or a combination of both. Layers include: Coastlines, county boundaries, county fills and county insets (as separate objects). Settlements layered by population. Road layers include Motorways (plus m/way junctions, junction numbers, service stations and names) Primary routes and 'A' roads (including dual carriageways)), B roads, 'C' and unclassified roads, comprehensive layered road numbering, railways, airports and airport names. Physical features include urban areas, forest and woodland, rivers and river names, lakes and lake names, island, bay and headland names, spot heights and symbols. Formats: Available Illustrator CS4 (for use with Illustrator CS4 to CS6 or later) or coming soon, Adobe Acrobat Editable PDF 6.0 format. Our maps in PDF 6.0 format are fully layered within Acrobat but can still be opened and edited in Illustrator CS4 -CS6 while retaining full layering with 100% editability. Our relief tiff files are single layer. Authors notes: This map is new for 2015. We do not just export GIS data to Illustrator and sell it on, we hand draw virtually every line and carefully place every piece of text. It is very accurate having been drawn based on Ordnance Survey data and the previous area coverage has now been increased. All coastlines, boundaries, roads, rail, rivers and lakes are also now at a much greater detail than any previous product on offer. 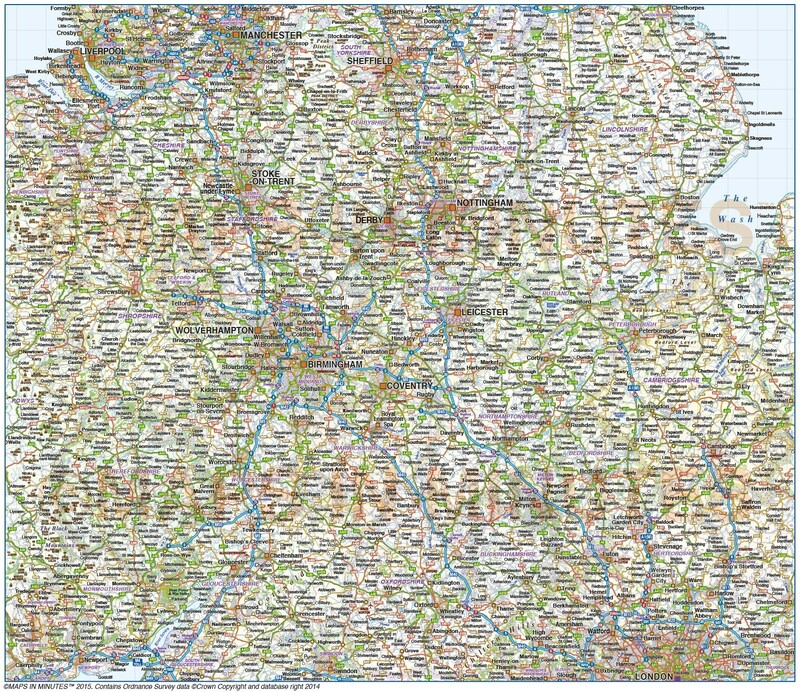 The addition on the 500k scale maps of more urban areas, county insets and a new layer of forest & woodland makes this map quite stunning visually. This map can be used at any size due to the quality of the artwork.